This week has been nuts! With softball and the end of the term life is a little nuts! I am teaching extended days this year and never realized how much I utilized my prep before. I am grading and prepping for class every night at home. By the time I complete my work it’s usually around 9:30 and I am completely wiped out. I feel bad that I haven’t made a good dinner in a while, but there is simply no time in the day. That’s what makes the crockpot such a beautiful appliance. Less effort for an even better supper! Everyone loves a good crockpot chicken meal! This one was fantastic! When I got home dinner was made with a delicious dessert. Matt is my hero this week! I love that man! 1. In a bowl mix together oregano, pepper and salt. Dry rub the chicken tenderloins with the mixture. 2. Warm a skillet to medium heat. Put the coconut oil in pan and sear the chicken until brown for 3 to 5 minutes on each side. 3. Put chicken in crock pot. 4. In the same skillet mix together the water lemon juice, water, garlic and chicken bouillon and bring to a bowl. 5. Then dump in the crockpot. Set the crockpot on high 3 hours or on low for 6 hours. Looks yummy! Love lemon pepper chicken. 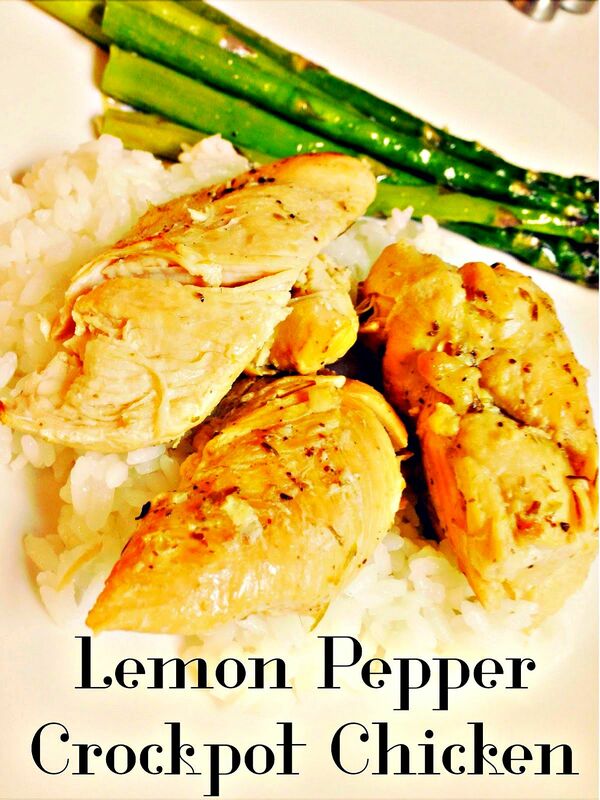 Yay for the crockpot, and your delicious lemon pepper chicken recipe. So easy and it definitely sounds delicious, everyone will enjoy it. Thanks for sharing with Foodie Friends Friday party this week. We always enjoy the delicious recipes. Looks delicious! Thanks for joining HSH!